Entertainment, relaxation, and the possibility of winning tend to be the main reasons why people gamble in casinos. But there is one thing that casino players tend to take for granted; the lessons derived from gambling. Remember, some of the most important life lessons are known to come from experiences. With casinos offering plenty of opportunities for players to experience a wide range of emotions, there are many lessons to learn from gambling. Losing or winning a bet will always teach you a lesson beyond the casino realm. 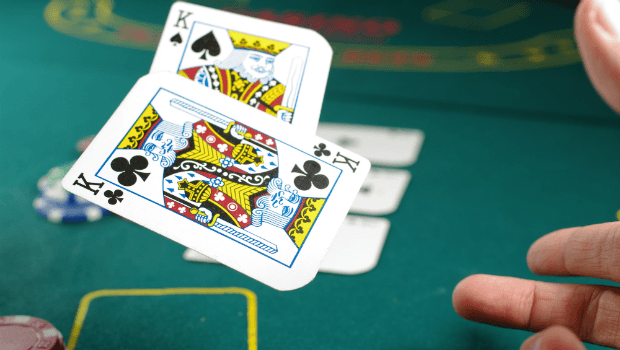 Let’s take a quick look at five lessons that you can learn from gambling. Yes, this is an old adage, but its relevance seems to be felt almost everywhere. The inherent desire of human beings to skip ahead when it comes to being good at doing something, forces them to cut corners. This is because practice is not necessarily fun. However, if you want to become an expert at something, practice is the only way to achieve it. For instance, taking time to learn, master, and practice casino game rules, strategies, or tips goes a long way in making you a better player. Definitely, with regular practice, your chances of winning at any casino game become better. And it doesn’t just end there. Real life demands that you practice and rehearse things to become perfect at them. It doesn’t matter the pain involved, you need to remain focused on the end results. We've seen when betting goes bad, and a good gambler learns how to manage their bankroll in a responsible manner. This does not only keep them in the game long enough for maximum fun, but also teaches them a very important lesson: spending and saving. Before you dive into any casino game, responsible gamblers set a limit on how much they are going to play with in advance. This ensures they play within their budget, making it difficult to lose more than it’s enough, to the house or other opponents. If you can effectively manage your bankroll at the casino, then you can probably manage your bankroll anywhere else, and if you want to build a big bankroll, then follow one simple rule; spend less and save more. Are you aware that time flies when having fun? Yes, time will never end, as philosophers argue, but your time on this planet is limited; this is why you need to manage your time well while still living. Responsible gambling trains you on how to manage your time to ensure that every important activity of the day is accomplished. For instance, gamblers looking to have a longer session in a casino know that they need to scale down their bet sizes so that they don’t run out of money. Some opt for penny slots and other games with small betting units. In real life, proper time management can make all the difference between the rich and the poor. How many times have you heard that the difference between these two demographics is how they use time? With gambling, you get trained on how to avoid falling in the latter category unless you want to. Have you ever looked at a fruit tree? If you have, then you probably realised that the hardest fruits to pick (the ones at the top of the tree) are usually the best. That said, let’s take a look at casino games. The best payouts are associated with the hardest games to learn. For instance, many casino players don’t like craps because the game’s learning curve is steep. For beginners, craps is not an easy game, nor do too many players have the personality to play it at high stakes. However, when it comes to the best odds, it has no equal. It is little wonder that craps is mostly found in an overlooked corner in many casinos. Gambling mainly revolves around two things: winning and losing. Almost every gambler understands what it means to win or lose. While the former comes with excitement and happiness, the latter draws the exact opposite of these emotions. However, gambling teaches you how to handle both. This helps you to understand that there are both highs and lows in life, as well as how to handle both situations. Accepting losses and moving on is very important because it gives you the ability to deal with negative situations in life, making you a more balanced and emotionally stable person.